This is a fabulous ring! Alan cut the black opal from the rough and he then designed the ring around the opal. 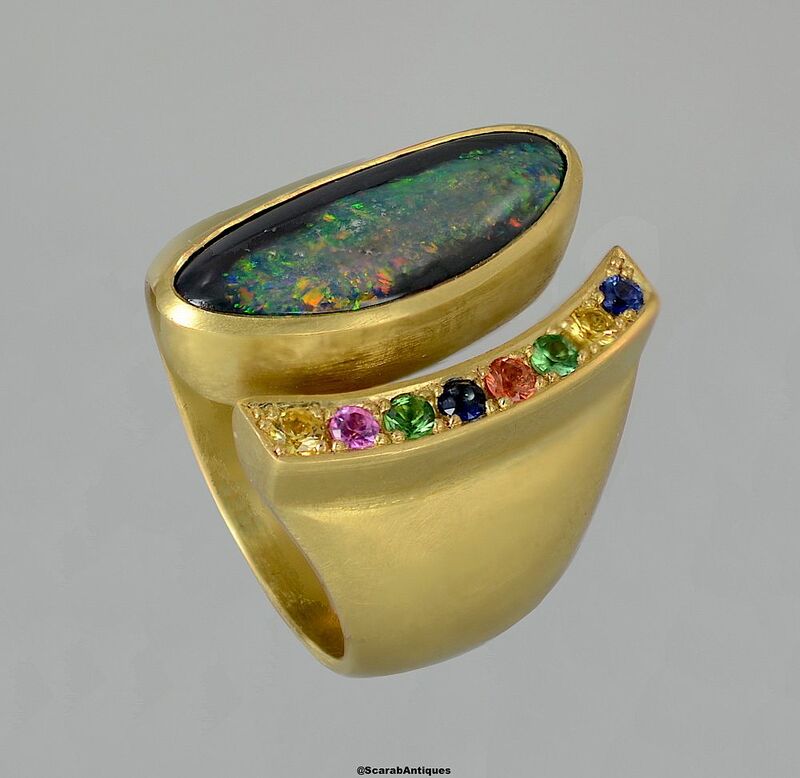 The ring has been handmade in 18ct yellow gold and consists of a split top, with the oval opal in a rubover setting opposite a curved line setting bead set with 6 sapphires in yellow, pink orange & blue & 2 green tsavorites, colours that Alan chose to mirror most of the colours in the opal. The 18ct yellow gold shank has been textured and the ring is hallmarked by the London Assay Office for 18ct gold and 2018 and bears the sponsor's mark "A&SP" for Alan & Sue Poultney.